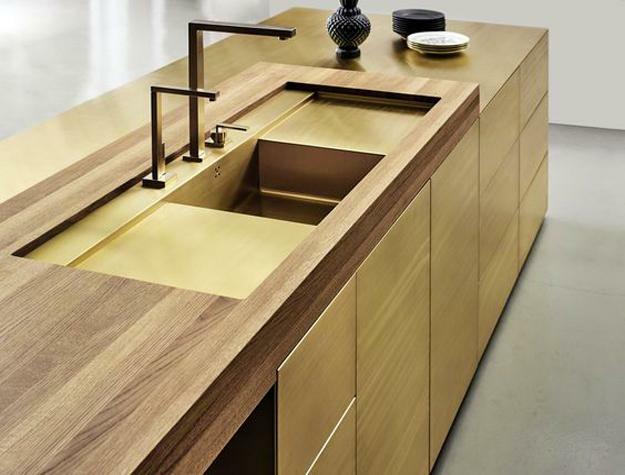 Golden colors are the symbols of expensive, warm, beautiful designs. 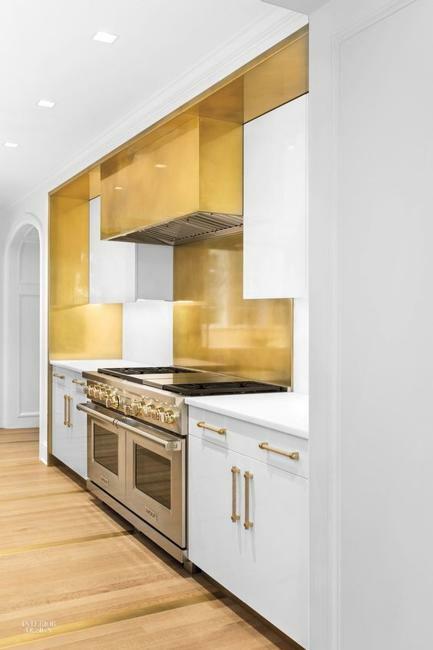 Golden kitchen cabinets and backsplash designs look glamorous and high-end. 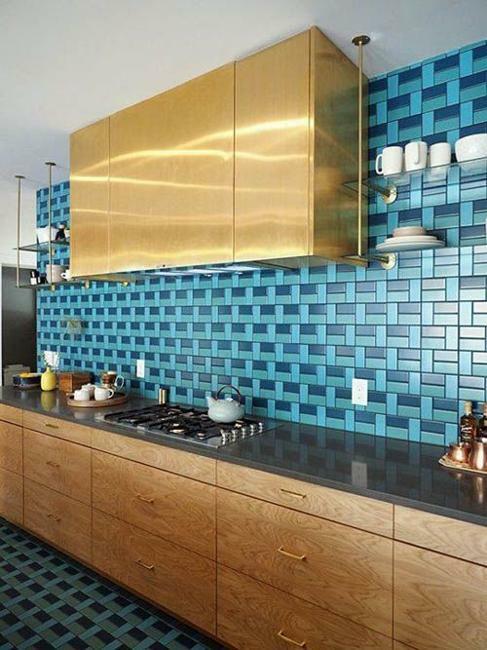 Yellow brass color shades and metallic textures fill modern kitchen interiors with chic. 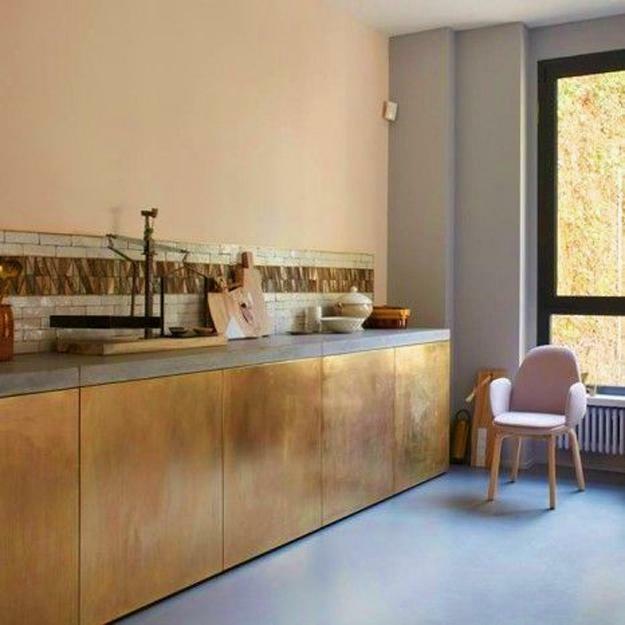 If you follow the latest kitchen trends, here is the Lushome collection of new kitchen designs with golden cabinets, decorative wall panels, and backsplash designs which set the luxurious atmosphere in modern kitchens. 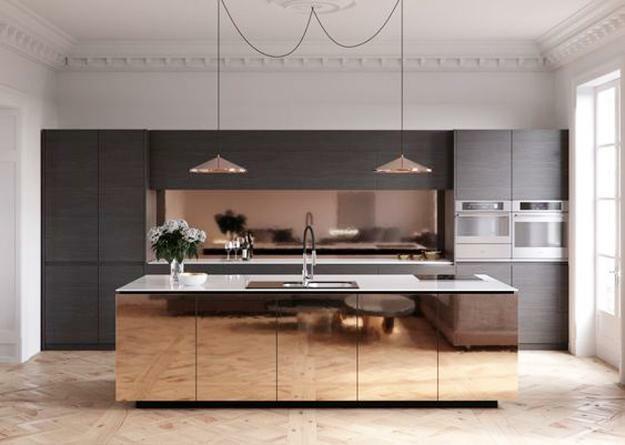 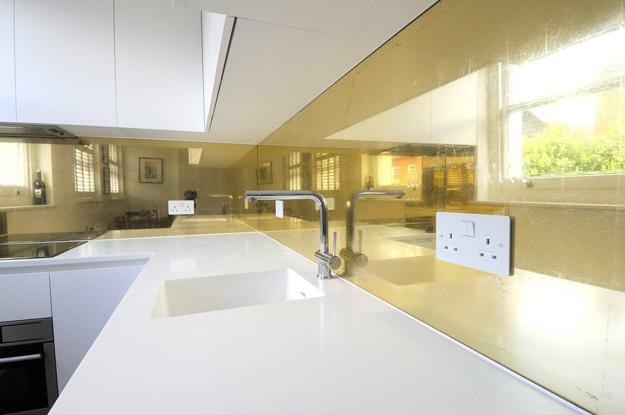 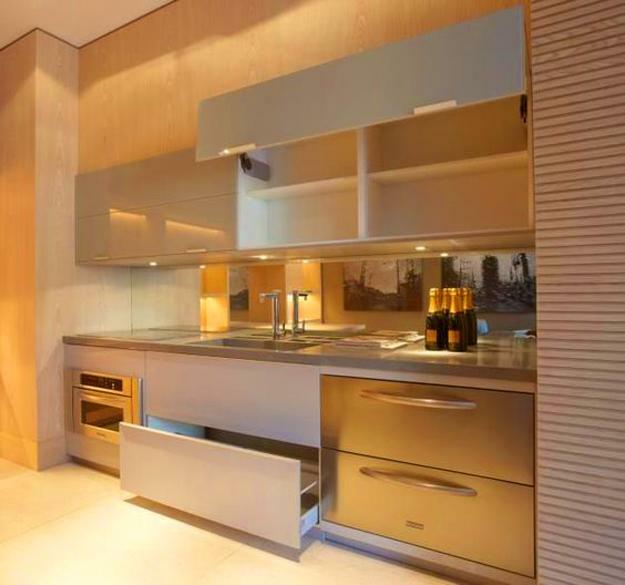 Surfaces made out of hammered metal bring elegant, warm shine into kitchen designs. 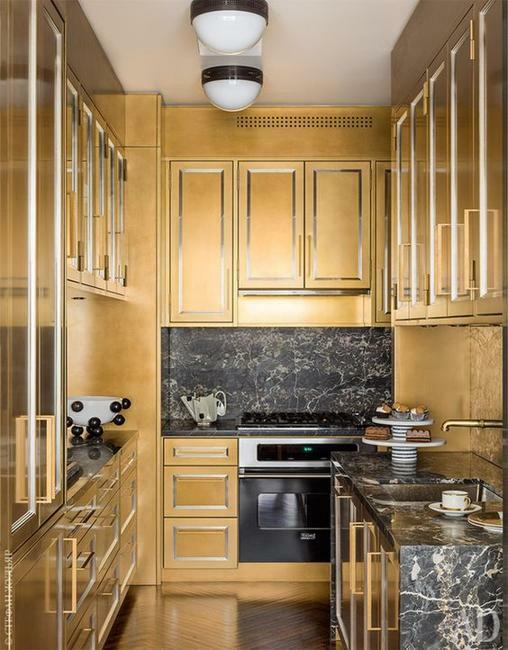 Golden kitchen cabinets, island designs, backsplash ideas or small decorative accents in bronze create a lovely shimmer and reflect the luxury into beautiful kitchens. 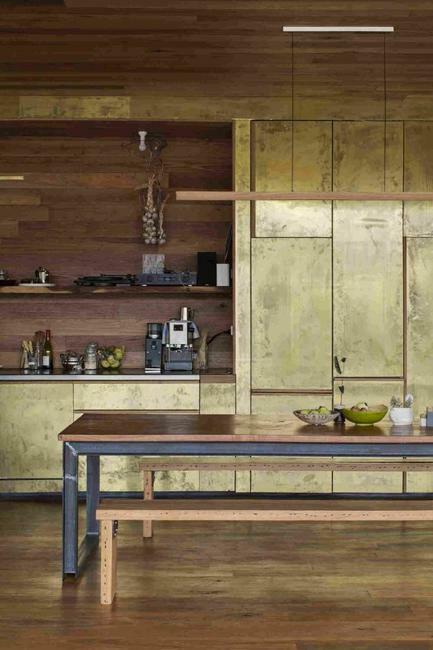 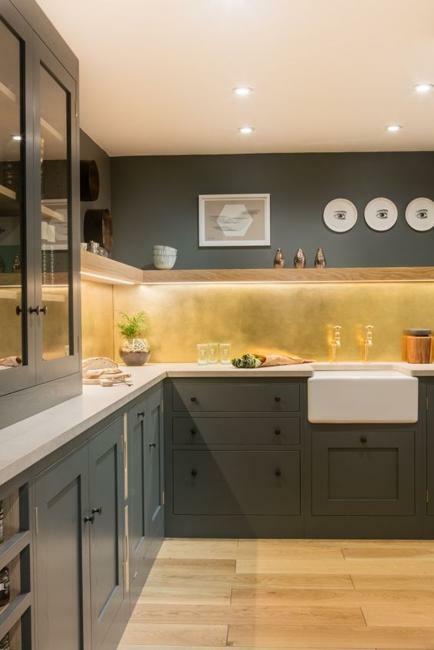 Brass in the kitchen is attractive and stylish. 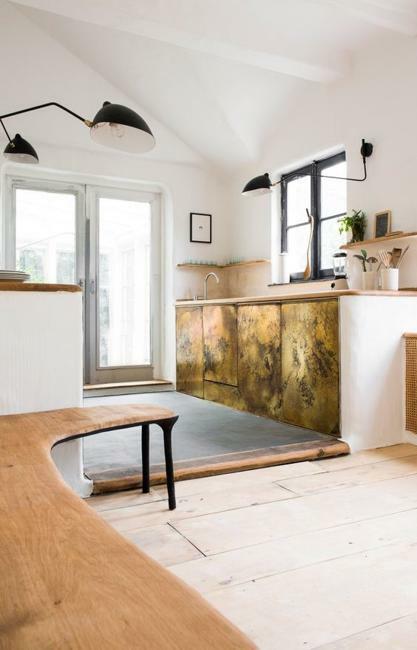 It makes the entire space feel warm and inviting. 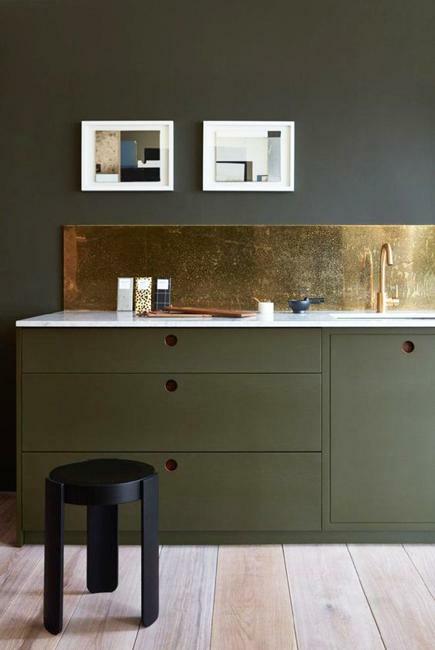 Brass kitchen faucets, knobs, lighting fixtures are perfect for modern kitchen design. 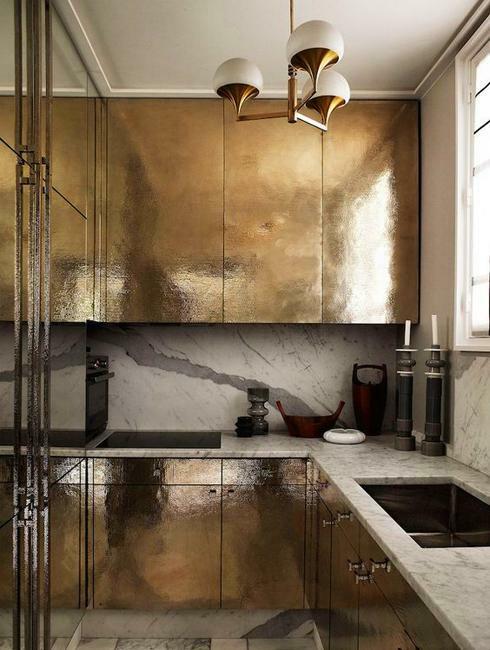 Now we see golden kitchen cabinets that bring majestic glam into kitchen interiors. 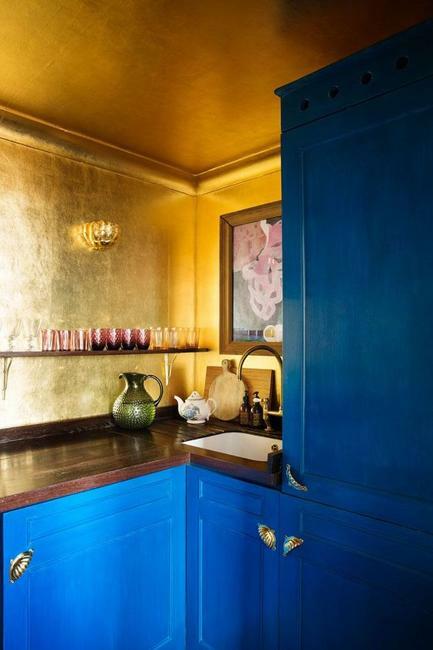 Yellow colors and shimmer of the metallic kitchen cabinets give a warm touch to any color scheme. 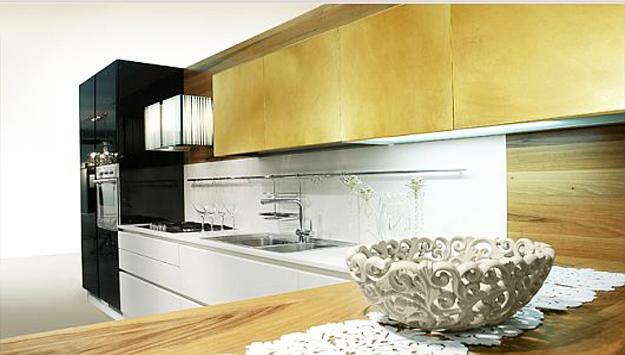 Golden kitchen cabinets are a fantastic idea to create outstanding kitchen design. 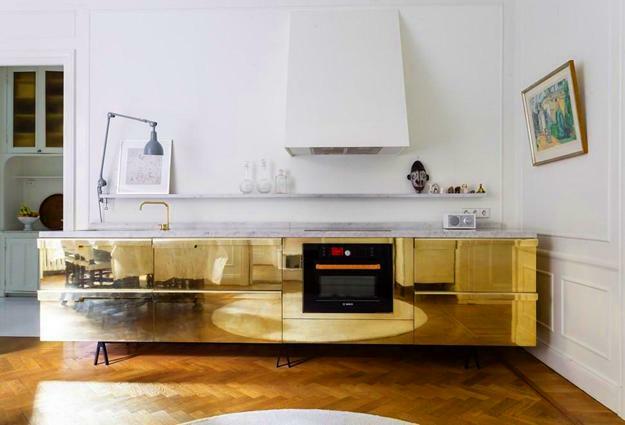 Golden kitchen furniture is a unique way to add personality to the functional home interiors. 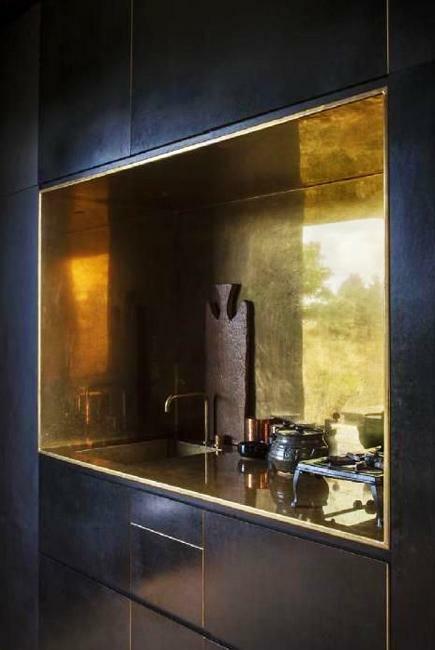 Metallic surfaces and accents transform traditional and contemporary designs and create unusual, eye-catching cabinets that look like works of art. 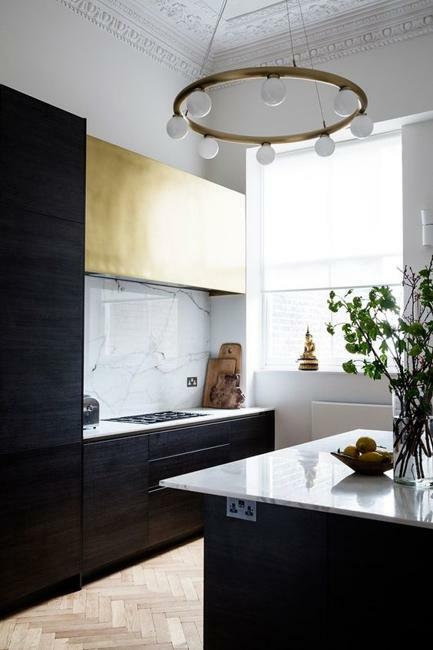 Following the latest trends in decorating and kitchen design, consider golden colors and metallic textures to refresh and style your kitchen. 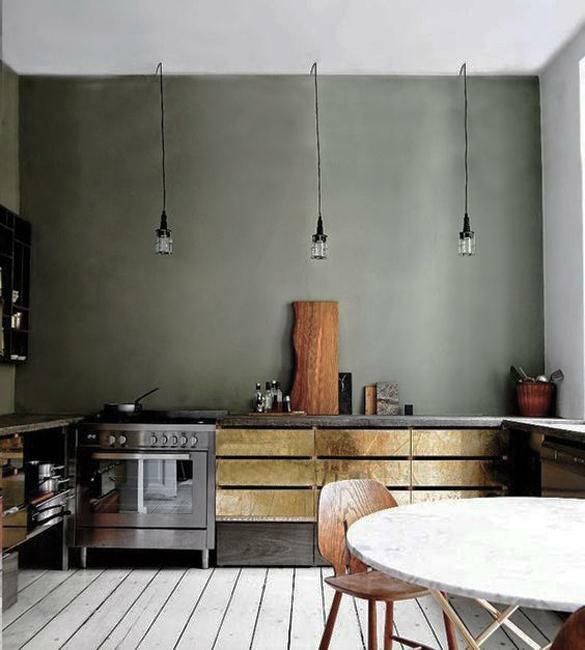 Bronze accents are the sure way to forget of dull and lifeless kitchen design forever. 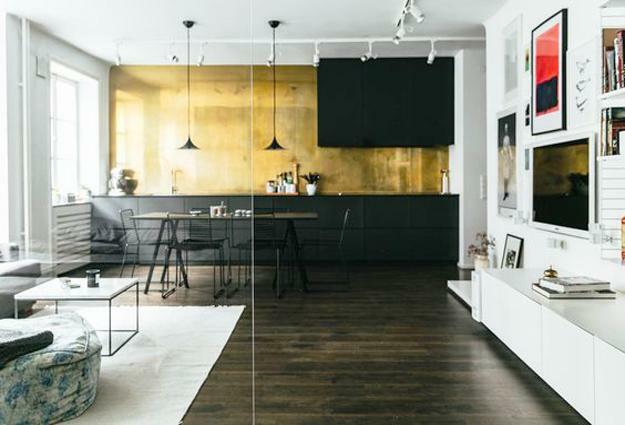 Yellow colors breathe life into any design. 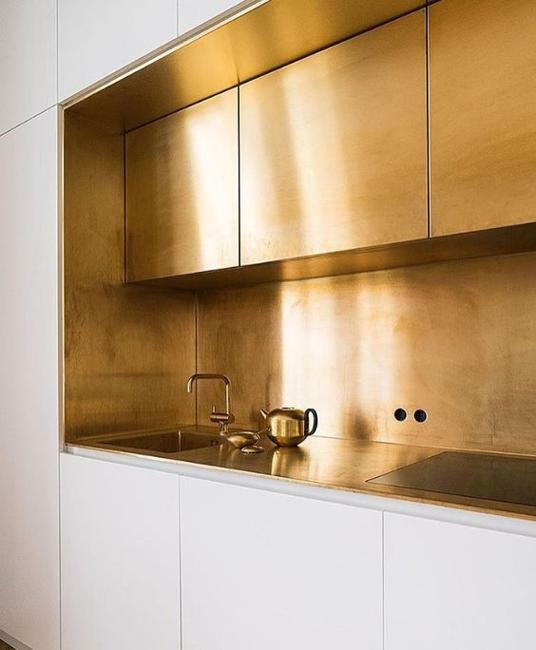 By incorporating a golden kitchen cabinet or an island into your kitchen, you will make your space look stylish, unique, and expensive. 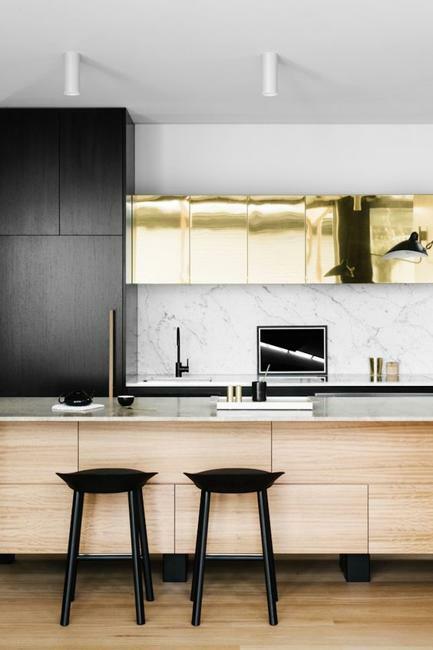 Modern interiors in minimalist, high-tech or traditional style look spectacular when a kitchen feature cabinets or an island design with a golden facade.